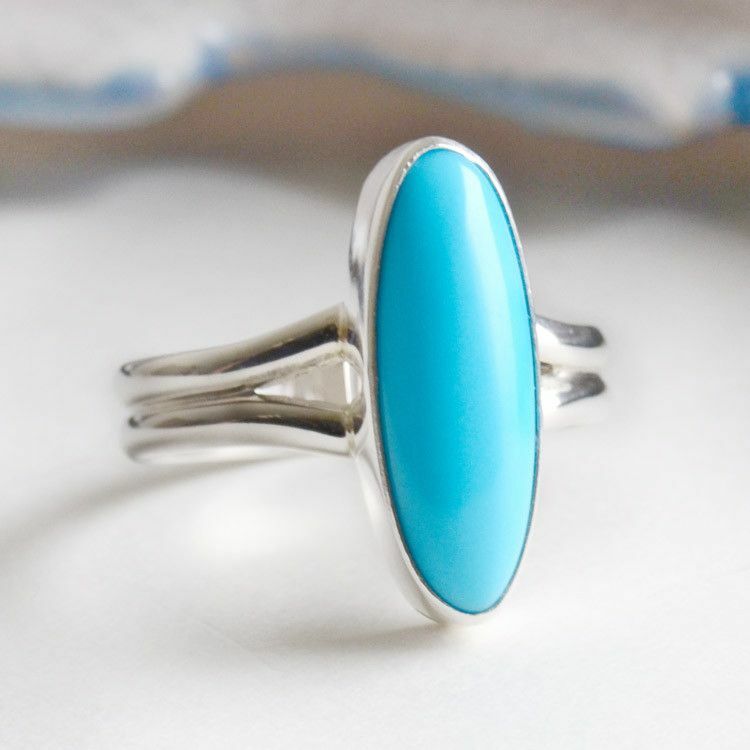 This sterling silver and turquoise ring is simple and elegant. 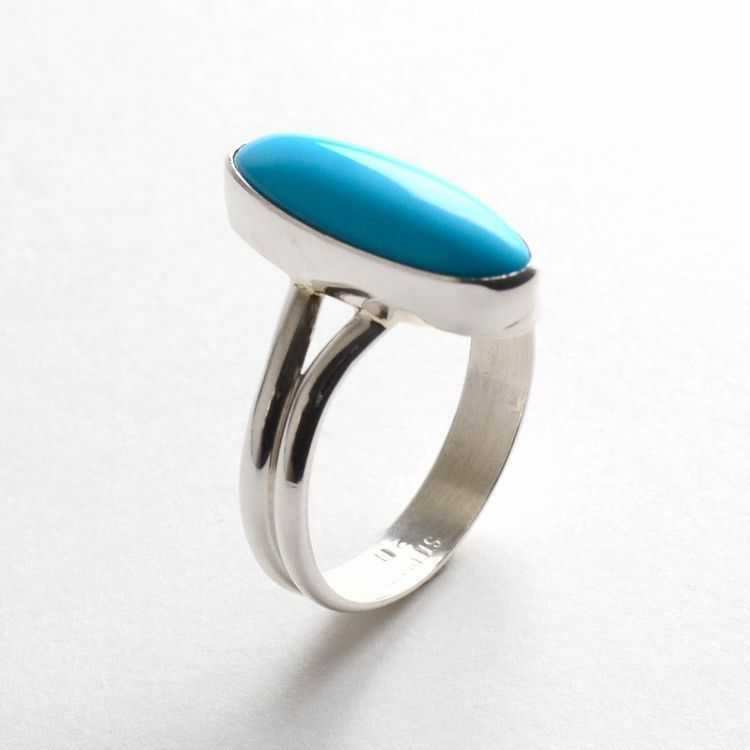 The elongated oval shape of the stone is parallel with your finger, and is about 5/8" long and about 1/4" wide. It is also almost 1/4" thick. Stone measures 5/8" x 1/4"